The Government published details of the long-awaited Disability Bill this afternoon. The proposed legislation addresses disability in education, health, training, employment and transport. According to the Government, the bill is designed among other things to improve access to mainstream public services for people with disabilities. Speaking on RTÉ radio, Minister of State at the Department of Justice, Equality and Law Reform Willie O'Dea, said the bill provided for the ring-fencing of funding for disability from the rest of the health budget. Seven members of the Cabinet and one junior minister attended the launch of the strategy in Dublin. 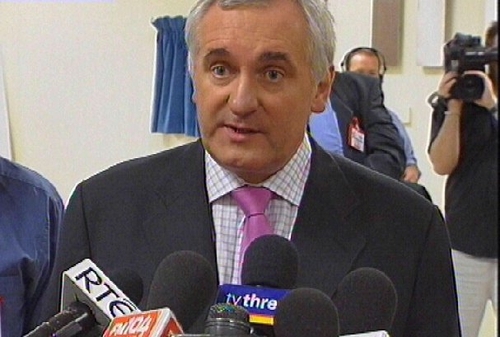 They included Taoiseach Bertie Ahern, Tánaiste Mary Harney and the Minister for Justice, Michael McDowell. The explanatory memorandum accompanying the bill says that health boards will appoint liaison officers to prepare a statement setting out the health and education services to be provided to the individual with a disability. The memorandum goes on to say the officers will prepare a service statement based on among other things, ‘the practicability of providing the service and the financial obligations of the service provider’. According to the memorandum, a complaints officer would also be available in cases of dispute. However, Labour leader Pat Rabbitte said the disability strategy was a deep disappointment and a betrayal of the disability movement. He said that, after two years of consultation and promises, it was clear the Government had decided that it would not confer any real rights on people with disabilities.